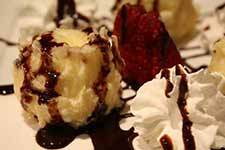 Choice of vanil­la, man­go, straw­ber­ry or green tea ice cream mochi rice cakes bat­tered and fried. 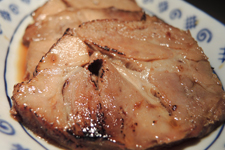 Ten­der slices of slow-cooked mar­i­nat­ed pork. 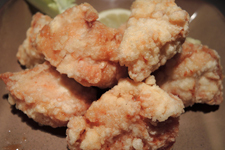 Crispy bite-sized pieces of mar­i­nat­ed chick­en breast. 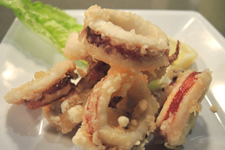 Squid light­ly bat­tered in pota­to starch and fried.